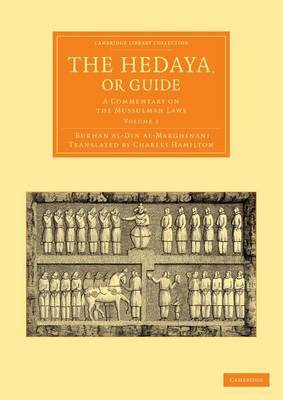 Composed in the twelfth century by the leading Muslim jurist Burhan al-Din al-Marghinani (1135-97), the original Arabic al-Hidāyah remains a central text of Islamic personal law. This English translation, from a Persian version of the work, was prepared by the orientalist Charles Hamilton (c.1752-92) for the East India Company in 1791. Although since superseded, it remains a fascinating document in the history of colonial jurisprudence. The legal system was central to the entrenchment of British rule in India, providing the framework for active control of civil administration and the courts. Translations of Islamic texts were intended to remove the language barrier for colonial officials, and blurred British and native law for the first time. Volume 3 contains sections on agency, claims, laws of business, deposits, loans, gifts, the hiring of slaves, freed slaves, and disputed land sales.